Many of our Sisters serve as Pastoral Ministers in parishes, colleges and health care facilities. 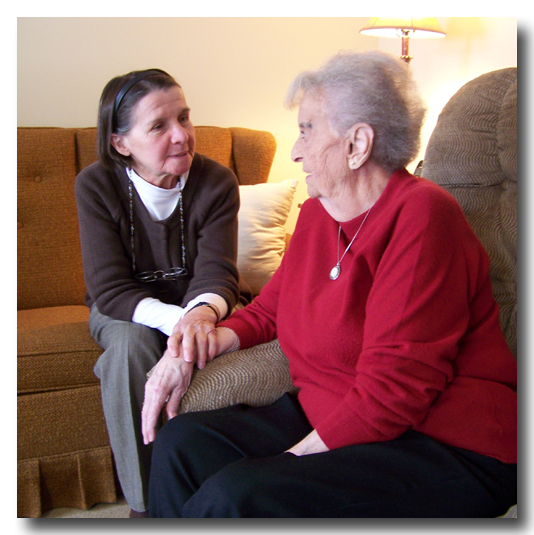 Their compassion and spiritual counsel is offered to people throughout the life cycle. They visit the sick, elderly and dying, support grieving families through assistance with funeral planning and visits, provide spiritual support to parishioners, and coordinate outreach to the poor and marginalized. Pastoral Ministers also assist in the planning and celebration of sacramental life, including Weddings, Baptisms, First Communions and Confirmations. Sr. Connie Cawley talks about her pastoral ministry in this short video.